culture(s) traverse the digital terrains and construct pockets of culture-specific communities of affective practice. 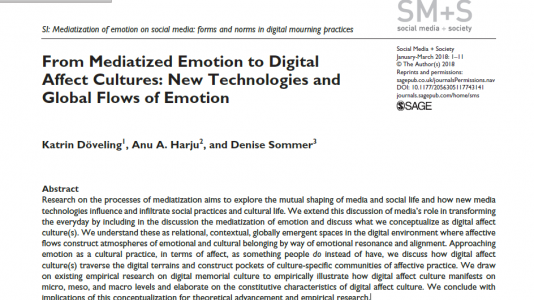 We draw on existing empirical research on digital memorial culture to empirically illustrate how digital affect culture manifests on micro, meso, and macro levels and elaborate on the constitutive characteristics of digital affect culture. We conclude with implications of this conceptualization for theoretical advancement and empirical research.